Ecosummit TV: Helioz from Vienna and Solarkiosk from Berlin are 2 cleantech startups that target emerging markets and tackle 2 big problems: drinking water and offgrid electricity. At CeBIT Code_n 2013, we interview Martin Wesian, CEO of Helioz, and Marc Zedler, Grant Manager at Solarkiosk, about their startups, products and milestones reached. Helioz already sold 2.000 Wadi devices that measure how long it takes to disinfect a bottle of water using sunlight. Now they look for €1M to scale up production. 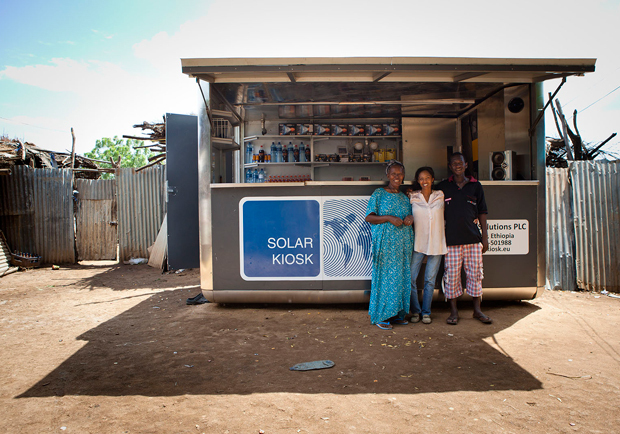 Solarkiosk installed 7 kiosks in Ethiopia and 5 in Kenya to enable local commerce in offgrid communities powered by the sun. Andreas Spiess, CEO of Solarkiosk, will pitch at Ecosummit Berlin 2013 to raise new capital for their international rollout.